Hey! It’s Jaro, VOLT Lifeproof Grooming Co-Founder and CEO, dropping in on Amped to share about a series I’m starting here called Gridskipping. 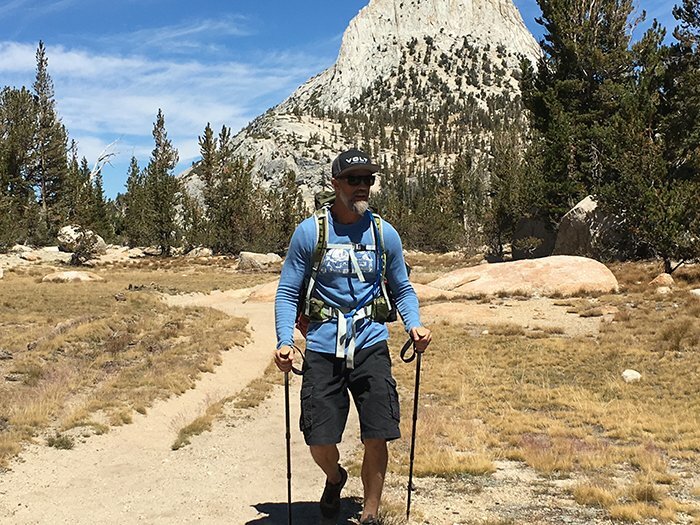 In these posts I’ll be taking you along on my adventures and sharing about what I see, do and learn when I go off the grid and enjoy the adrenaline-fueled activities that keep me feeling my best. Camping, surf trips, skiing, climbing and bouldering—you never know what might drop in this series but whatever it is I hope it’ll inspire you to get out there, push your physical and mental limits and enjoy the groundedness of being in nature. To me, there’s nothing better! Though VOLT products are for every man, I’ve created them with the performance needs of high-energy, adventure-seeking, young-at-heart guys in mind. Ones who might find themselves taking a red-eye to make a business meeting one day and climbing a mountain the next. Wherever they go and whatever they get up to, the gear and routines they rely on have to work and go the distance with minimal effort—that goes for their grooming and personal care products, too. I should know because I’m my own test subject. Everywhere I go and whatever I do I’m testing VOLT products and putting each through its paces so you can be 100% sure that they’ll perform when you need them to the most. We don’t call it “lifeproof grooming” for nothing!